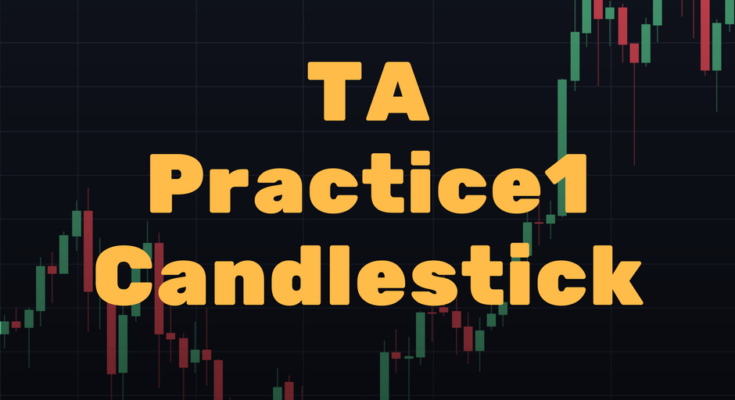 Candlestick chart is not just for Cryptocurrency. Both the stock market and the foreign exchange market use it. You see a lot of those candlesticks in a chart. Some are green and others are red. 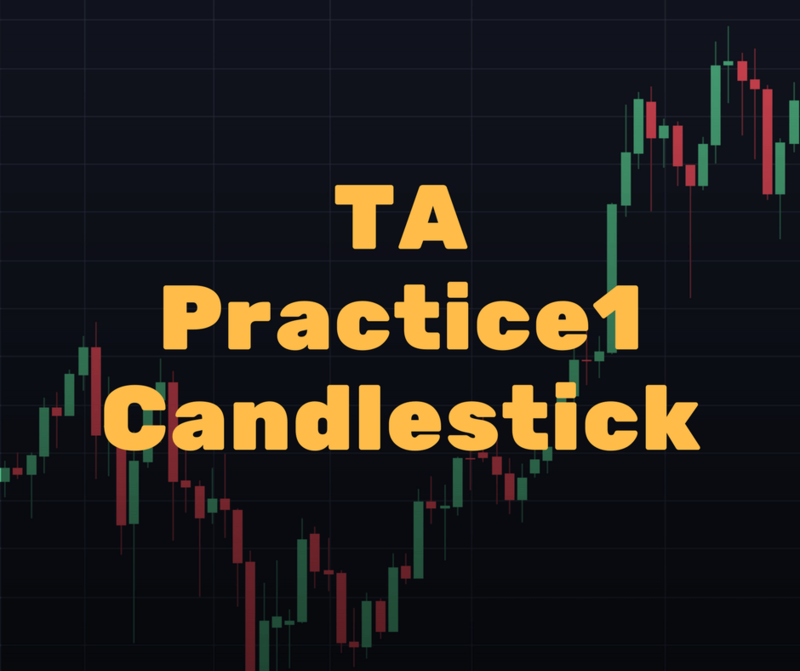 Each candlesticks represents the trade actions of a specific time frame that’s set in the chart. 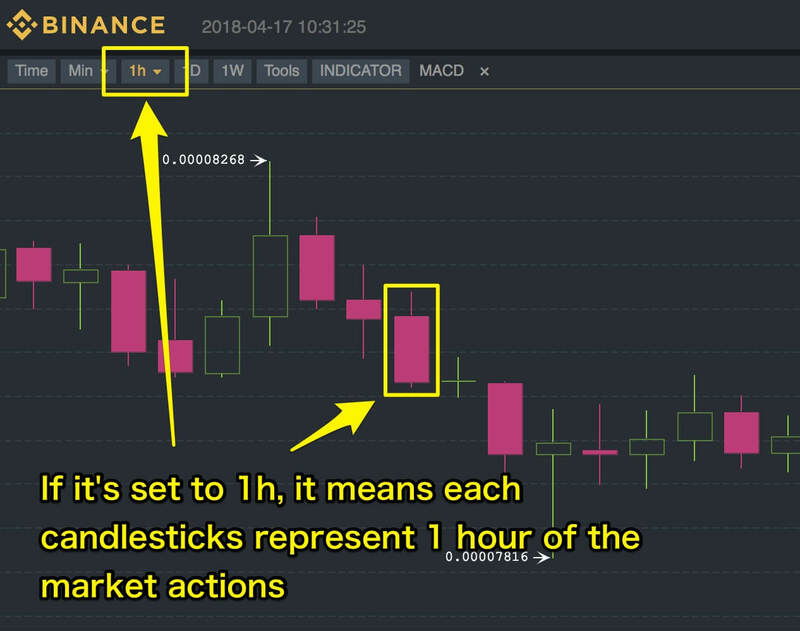 In the example above, each candlestick shows all the trade actions in one hour. The top of a candlestick shows the highest price point and the bottom of the candlestick shows the lowest price point of the time frame. Anything outside of the opening and the closing price are displayed as a wick. What are the opening and the closing price exactly? 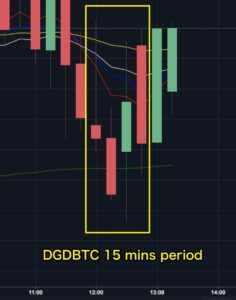 The opening price is the price of the first trade of the time frame. The closing price is the price of the last trade of the time frame. Trades outside of the opening and the closing price are shown as wicks. When the closing price is higher than the opening price, the candle is bullish. 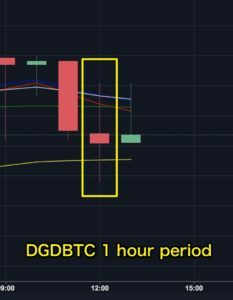 When the opening price is higher than the closing price, the candle is bearish. 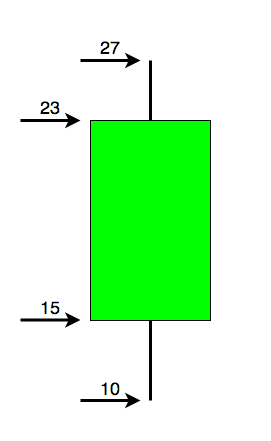 The price of the opening is 15 and the closing is 27 so it’s Bullish and green! How did it go down to 10 and went up to 27? Or did it go up to 27 first then went down to 10? It’s easy to figure it out by looking at lower time frames. 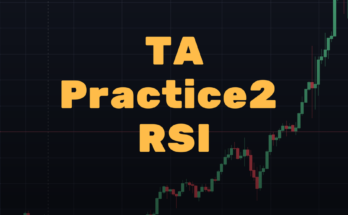 Following examples are showing the same time frame. 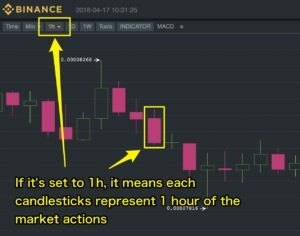 These two images are showing the same chart but in different time frames. 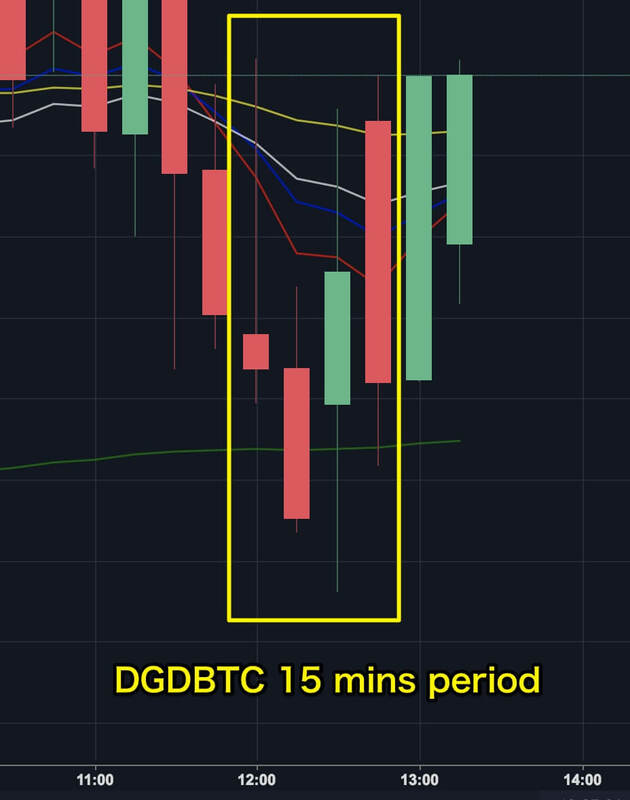 There are 4 candlesticks in the 15 mins chart. 4×15 and that makes an hour. It looks like it went down and it went up high then went down again. 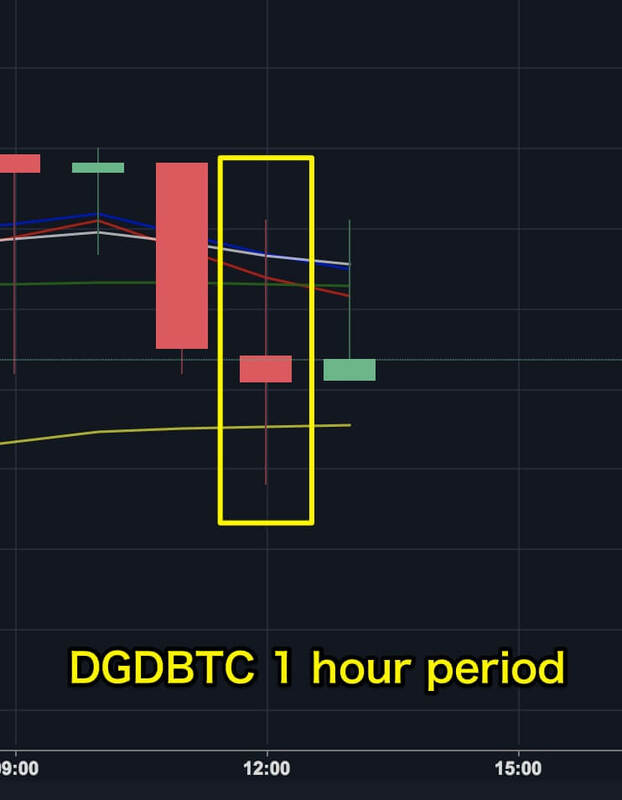 The one hour chart hides the drama and just shows the result. 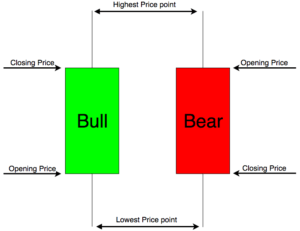 This is the fundamental of the candlestick chart. Now you know how to read them. 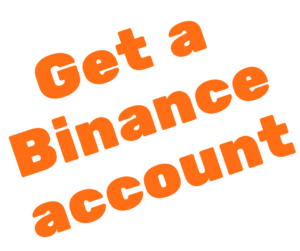 You can check the chart of favorite coins and check the drama! 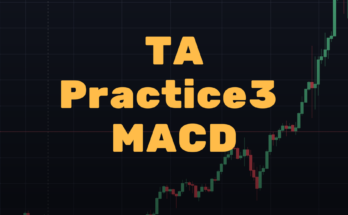 I will introduce some of the important candlestick patterns in the next articles. 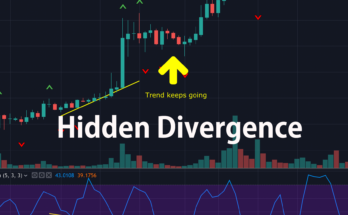 Next Article Bearish trend is over, it’s time to buy some Cryptocurrency!